UNLEASHED Coaching is a premiere coaching service for endurance sports. UNLEASHED Coaching specializes in cross country skiing, running, mountain biking, road biking, Xterra and triathlon. Whether you are a weekend warrior trying to improve your fitness or a seasoned professional, setting specific goals and developing a clear plan to reach them is essential. 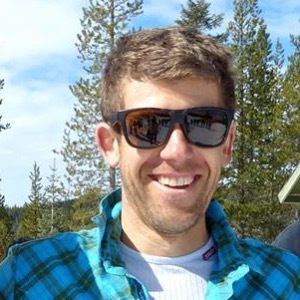 August was born and raised in Aspen, Colorado, where he began skiing and racing as a member of the Aspen Valley Ski Club (AVSC) and then Colorado Rocky Mountain School (CRMS). After graduating from CRMS August chose to go to the University of Denver (DU), and ski and run for the Pioneers. While at DU August was on the 1999, 2000, and 2001 NCAA championship Teams. Prior to starting Unleashed Coaching, August was the head coach of the University of Nevada NCAA Nordic ski team from 2004 to 2010. In addition to his coaching responsibilities, August was named the director of skiing in the summer of 2007 and oversaw all aspects of UNR’s Wolf Pack skiing program. Prior to coming to Reno/Tahoe in 2004, Teague spent one season as the head Nordic coach at Whitman College in Walla Walla, Washington. Since starting UNLEASHED Coaching, August has coached at the Sochi Winter Olympics, two World Championships and countless World Cups in the sport of cross country skiing. He has coached professional triathletes and bikers on the national and international level. August continues to coach a select group of juniors, Team UNLEASHED. This group has won multiple national champions and All-American finishes. Success. Coach August Teague has been notified of your message.